Unlike the current generation of entrepreneurs who can count Robert Kiyosaki, Donald Trump and Steve Jobs as inspirational figures, my late father have few well-known figures he that looked up to. One such exception, is Lee Kuan Yew. 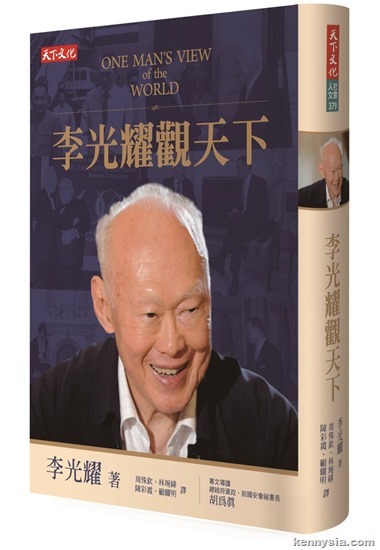 When I was 7, I saw on my father's desk a biography of Lee Kuan Yew. "He is someone incredibly extra-ordinary. Thirty years ago, Singapore and Kuching were the same but he developed Singapore so much. No one could ever have imagined. Read, and you will soon know, son." Demise of a great man. For a less propagandised background of LKY, go to YouTube and educate yourself as to what a fcuking tyrant and fascist he was, just search Singapore the Fajar Years. Plenty more all over the internet if you use it properly. It only takes a bit of imagination with search and few keystrokes. Malaysians Chinese are excessively stupid and excessively smug and lazy, no wonder they are sat on like effing infantile baboons by others!